Florida's a hot spot during spring break for Northerners, something we as residents get to enjoy year round. However, with the holidays coming up and snow beginning to fall in other parts of the country, many Floridians are looking to trade SUP boards and flip flops for skis and boots. Listed here are the best ski destinations for Floridians looking to ski this winter and spring. 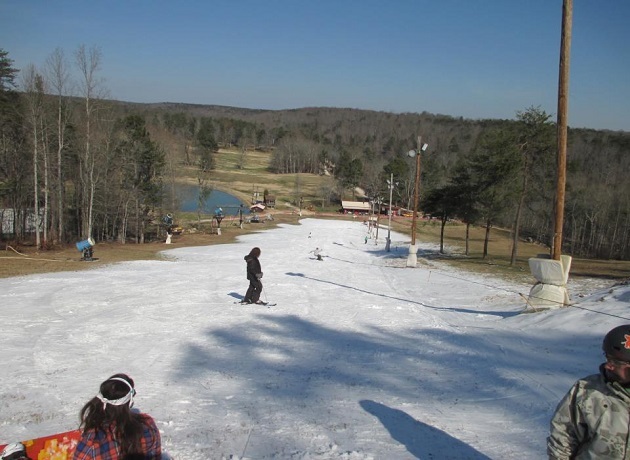 Cloudmont Ski & Golf Resort- This resort located in Mentone, Alabama is excellent if you’re not on Lindsey Vonn’s level. The beginner-friendly slopes are perfect for the entire family. During the weekends and holidays from 9 a.m. to 4 p.m. ski price packages, which include equipment, lift ticket and beginner lessons, are $55 for adults, $50 for students, and $42 for children ages 12 and under. A good place to stay is the charming Winston Place bed and breakfast. Rates range from $149-179 for double occupancy. The nearest airport is CHA in Chattanooga, TN, which has round trip tickets out of Tampa ranging in the upper $100s. Appalachian Ski Resort- This family-friendly resort located in Blowing Rock, NC is an excellent place for the kids to learn how to ski. It may be a little on the small side, but the grounds are well kept which keeps your gear looking brand new. During the regular season, Nov. 17- March 11, tickets are $62 for adults and $43 for children on weekends and holidays. Prices drop during the week and during “Midnight Blast Sessions” that occur 5pm-midnight Friday, Saturday and Holiday nights. A good place to rest after is the Holiday Inn Express located 10 minutes away in the picturesque Boone. Beech Mountain Resort- This small resort gets overlooked by more massive slopes, yet is a skier’s oasis. Aside from the low key atmosphere, there are gorgeous views thanks to the area’s high elevation. Prices are $79 for adult and $59 for junior all day passes during weekends and holidays. A relaxing place to stay for under $100 a night is the Beech Alpen Inn that has a free ski shuttle, restaurant, and bar. 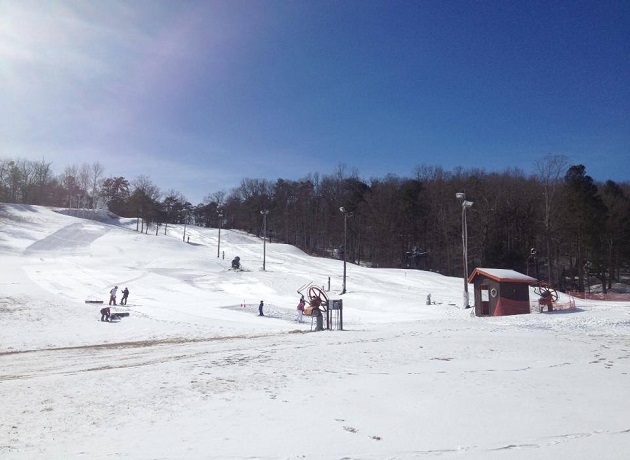 Cataloochee Ski Resort- This resort in Maggie Valley, NC gets relatively busy thanks to its affordable prices and impressive slopes. The central location is convenient for Southerners, which means it’s one of the best ski destinations for Floridians. Full day prices for lifts, rentals and lessons are $115 for adults and $92 for children 12 and under. Rates can be altered pending on the time and option chosen. A good place to stay is the low-key A Holiday Motel, which is walking distance to the town’s shops and restaurants. Prices range from $49-69. 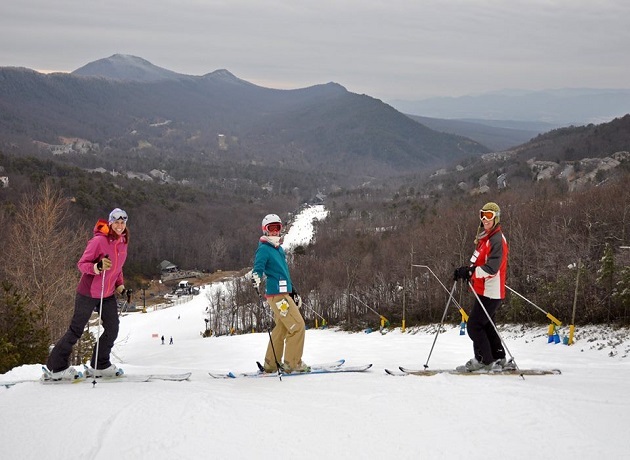 Sugar Mountain Resort – This resort may be the best on the list for beginners. There are wide slopes, friendly staff, and affordable rental prices. One downside may be that there are a lot of kids, so be extra careful on your way down. Adult day full day tickets are 74 dollars on weekends and holidays, and junior tickets are $51. For a downhome country experience, check out the Blue Ridge Village hotel. Wolf Ridge Resort- This affordable resort has a family-friendly atmosphere. The staff is friendly and helpful; the slopes are fun and perfect for both beginners and pros. Weekend and holiday tickets are $56 for adults and $46 for students ages 5-18. Ski rentals which include skis, boots & poles are $19. Townhomes are available for rent and can sleep up to 12. The nearest airport to the resorts is the CLT in Charlotte, NC, which has round trip tickets out of Tampa that range in the $200s. Fly out of Orlando with Frontier for $57 flights! Massanutten Resort- If you’re looking for a bit of everything, you may want to check out this expansive 6,000 square feet resort located in McGaheysville, VA. There’s mountain biking, golf, live events, kid-friendly activities, and recreation. There is also an escape room, family adventure park, and waterpark. But since we’re here to talk about the best ski resorts for Floridians, 8-hour session tickets are $74 for adults and $64 for kids weekends and holidays. 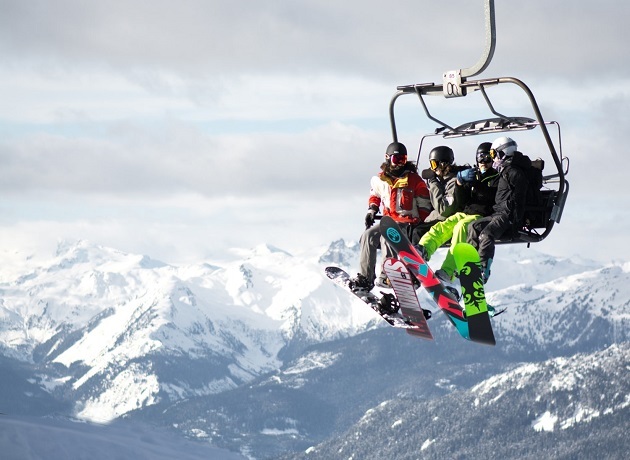 Equipment rental rates, which include skis, boots, and poles or snowboard and boots, are $36 for adults and $30 for kids. The nearest airport is IAD in Dulles, VA, which has round trip tickets out of Tampa that range in the upper $100s. Save some cash by flying out of Orlando with $67 round trip flights available to explore D.C or spend a night at the historic Cave Hill Farm Bed and Breakfast that has a pre-Civil War museum. Snowshoe Resort- This popular resort in Snowshoe, WV provides a 5-star experience. The breathtaking mountains are accessible for skiers of all levels. During the weekends and holidays, single day tickets are $99 for adults ages 18-74, $87 for students ages 13-17, and $82 for children 6-12. While prices are a bit high, Snowshoe is arguably the best resort in the southeast. Smack-dab in the Monongahela National Forest, there aren't a lot of hotels nearby. However, lodging is available through the resort. Winterplace Ski Resort- This simple ski resort in Ghent, WV offers quality ski lessons. Since bunny slopes are a novice’s wonderland, it’s only fair that there’s an abundance of beginner-friendly places best ski destinations listed. During weekend and holiday periods tickets are $70 for adult and $53 for junior. Children ages 4 and under receive a free lift ticket with a purchased adult ticket. An affordable resting spot is the Skyline Lodge for $58 a night. The nearest airport to the resorts is CKB in Clarksburg, WV, which has round trip tickets out of Tampa that range in the $300s. Camelback Mountain Resort- This fun waterpark and mountain resort in Tannersville, PA provides year-round entertainment for the entire family. Thanks to over 1200 snowmaking guns there's always snow. Tickets are $67 for adults and $49 for juniors during weekend and holiday periods. Children under 5 are free. Luxury, on-site lodging is available at the Camelback Resort. The nearest airport is ABE in Allentown, PA, which has round trip tickets out of Tampa ranging in the $200s. It may be 90 degrees out, but you’re sure to have a great time with any one of these best ski destinations for Floridians. Stay Connected to all things local, by connecting with 813area. We have Things to do in Tampa, Events, Restaurants, and more! Register at 813area - it’s free!